The Max Terminator Suit™ is one of IRONWEAR®’s heaviest short patented soft Flex-metal® weight suits, designed to spread the maximum amount of weight over the entire body while leaving the waist open. 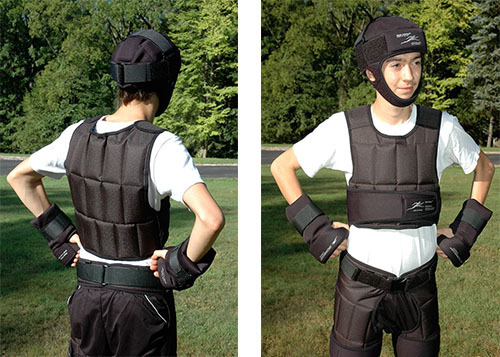 The Max Terminator Suit™ provides maximum resistance to all your movements, including situps. 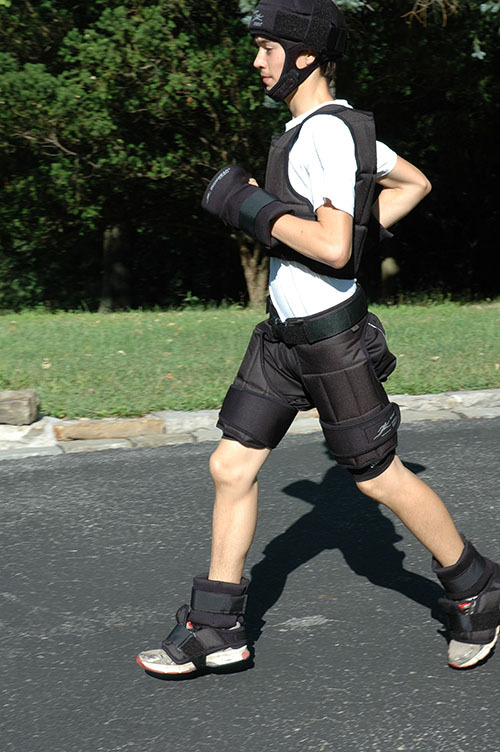 The Max Terminator Suit™ is adjustable from 9 to 88 pounds and is supplied at 88 pounds. 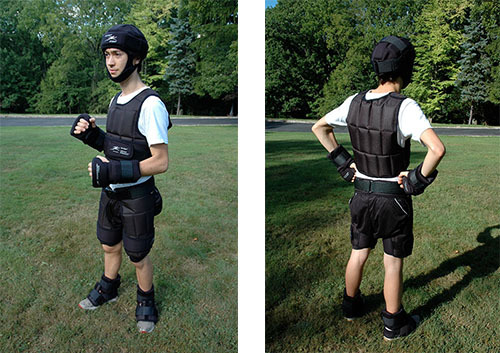 IRONWEAR® suggests that you put the suit on by first putting on the Shoe Irons, then the Ankle Irons, then the pants, vest, and the headgear, then ending with the Hand Irons. Remove in the same but reversed order, with the Hand Irons coming off first. Having an assistant to help you, especially as you maximize the loading, is extremely valuable to pout on and even more to help you take off the suit after a workout.